PARIS – On my exploration through time past, I have now arrived at last Thursday and an evening at the Abracadabar, with a trio of musicians performing a trio of sets in a single evening’s singer-songwriter concert format. It was something of a perfect trio, in fact, with Ventru starting the evening with his probing style of lyrics and guitar, followed by Raphaëlle Pessoa with her eclectic, emotional and multilingual songs, to Shelita Burke, with her impressionistic vocal acrobatics. 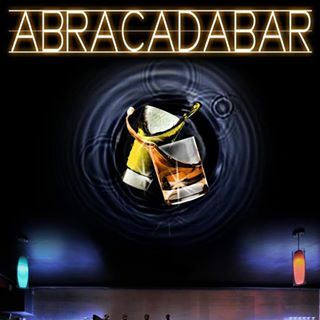 The Abracadabar, is a mainstay of Paris singer-songwriters, being located near the Quais de Seine, in the Crimée area of Paris, and with an excellent sound system, soundman and comfortable stage, all separated from the main barroom by part of a wall and curtains (when needed). I’ve attended concerts and the open mic they sometimes hold at this great little place off the beaten track, but the trio last week was one of the warmest times I’ve had so far. And finally, as I stepped forward in time in my previous post, I want to just note in this one that the music-hall show that I mentioned in the previous post and put on by Raphaëlle Pessoa in her alter-ego, “Stella,” not only took place last night without a hitch and in triumph at the So Gymnase, but it also got a great review in a great French cultural web site called, Toute la Culture. The reviewer summed up the show and Raphaëlle’s talents perfectly, in a great story under a headline that perfectly sums up the show in a phrase: in “Stella dans tous ses éclats,” Raphaëlle Pessoa brings music-hall to the employment office!